13" long, 1/2" edge. Signed, "H.T. BLODGET CAST STEEL." Owner's mark, "TBF." 12” long, 1/2" edge. Signed, "JAMES MCWARTH CAST STEEL." 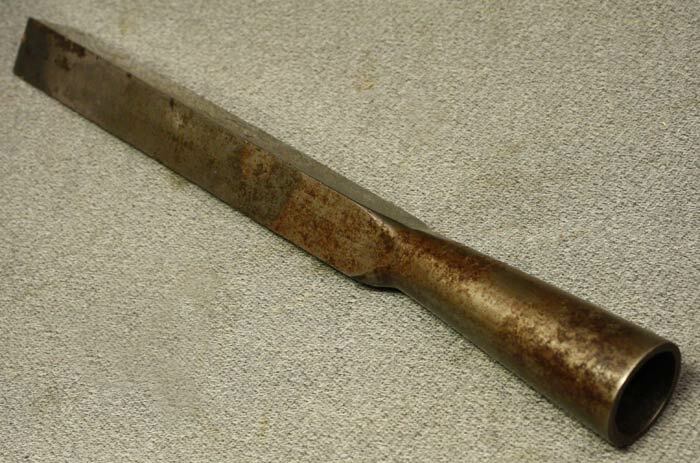 This crudely cast chisel shows signs of hand-forging.